– Fairfield County, CT’s average household income in 2017 was $138,411, 5% higher than Manhattan’s. – With 965,000 residents and estimated retail expenditures of just under $22,000 per capita, Fairfield County generates approximately $21 billion in annual retail demand. 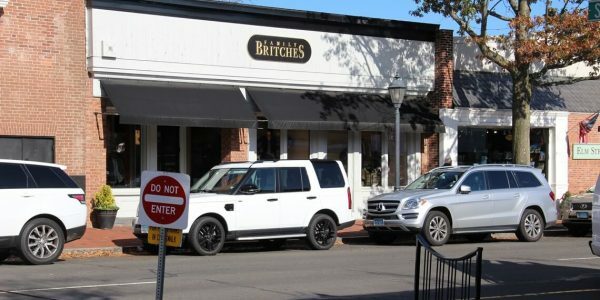 Exceptional Retail in Downtown New Canaan One of Connecticut’s Best High Streets Centrally Located Main Shopping Street First Time Available .. Excellent Space for Lease in Prime Norwalk Shopping Center Main Retail Artery in Fairfield County with Close Proximity to both ..
Beautiful, Pristine, Retail/Ground Floor Space Available in Downtown Westport Office, Medical or Urgent Care Uses Also Allowed Bright, Over Sized ..
Prime Retail Space Available Divisible 2,242 SF to 6,000 SF HSBC Bank Prime Site in One of Fairfield County’s Premier ..
Prime Corner Retail Space Available The Library Building Site Located in One of Fairfield County’s Premier Retail Central Business Districts .. Fantastic Restaurant for Lease in the Heart of the Westport Shopping District Provide Dining to One of America’s Most Wealthy Communities Coveted Restaurant Zoning ..
Prime Site in One of Fairfield County’s Premier Retail Central Business Districts Rated 8th Wealthiest Town in America Ideal Location ..